work | Small, but valuable. We have a little bit of a book display problem at the library. Maybe “problem” is an overstatement. Anyway, we always want to make our displays more attractive. They need a bit of pizazz on top of books arranged nicely. 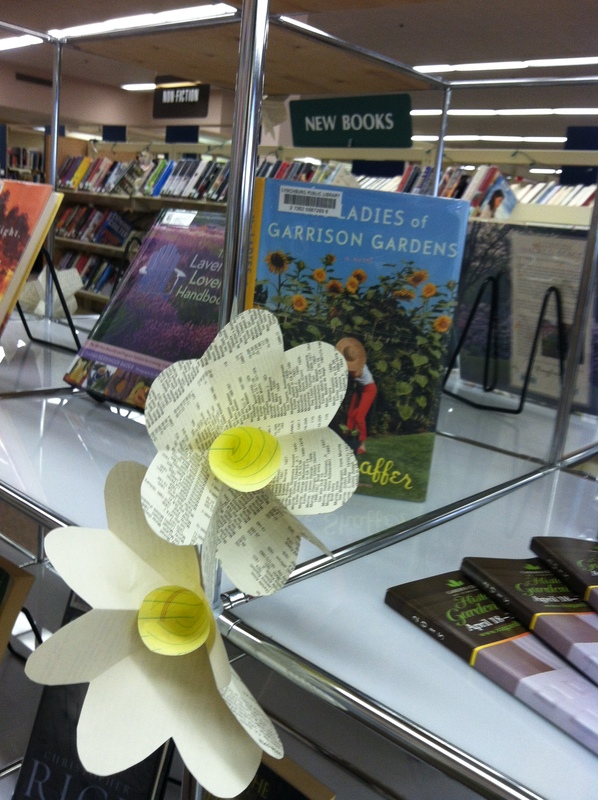 This month, there’s a gardening display. And on Friday, I got crafty. I’m not the best at this sort of thing, so you can guarantee that if I can do it, you can do it, too. What are we doing? Making paper flowers, of course. 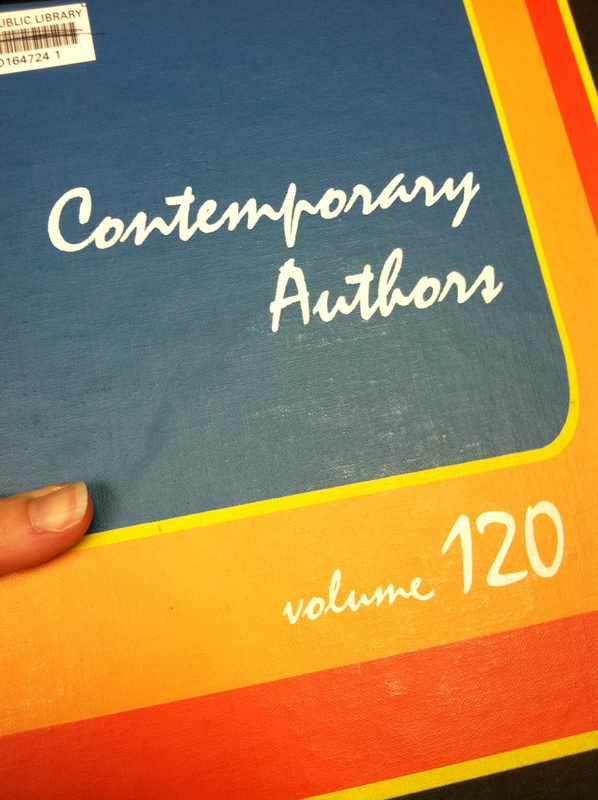 I started with some great literary material–ripped out pages from the 1987 edition of Contemporary Authors. I don’t often deface books, but when I do, it’s nearly always the 1987 edition of Contemporary Authors (#mostinterestinglibrarianintheworld #firsthashtaguseever). Don’t worry, they were taken out of the library system years ago and are now used for projects just like this one. And I used a bit of a tutorial. It tells you how to fold and cut the paper. You can find the magic instructions here. But I made one adjustment. I didn’t use any cotton swabs. I wanted to work with materials we already had plenty of at the library, and I didn’t have any cotton swabs or food coloring in the vicinity. So how did I connect everything? I used plain, old-fashioned tape, and it worked like a dream. I’m a pretty big fan of the book pages mixed with the yellow lined paper. It’s quite appropriate (and free) for a book display. Problem solved, at least for one display for one month. Now I just need to figure out how to craft perfect paper display items for every potential topic. No pressure. My current job is in fact my first long-term managerial position in the working world. Because of that, it’s been more challenging and adventurous than any previous job. People always add an element of adventure to everything, right? Different personalities and skill sets and preferences all collide into one work environment, and we all have to figure out how to be a great team together. Sometimes in the middle of the daily hubbub in the library, I end up feeling powerless to make a real positive change in my work environment. I should feel more powerful than I used to, but I don’t. I think when I was only responsible for my own actions, change was simpler. All I had to do was change myself. Now I have to change the system sometimes and the team at other times, and then there’s still all of the change that has to happen in myself. There’s so much potential for change, yet it seems less attainable at times. There can be so many layers to work through before anything is really different. The good news is that I’ve been reading a great book lately. It’s called The Best Place to Work, and it was written by Ron Friedman. Dr. Friedman is kind enough to give me back some of my middle management confidence. Woohoo! I love that Friedman tells you about the studies behind the suggestions. (Yeah, I like reading academic studies. That’s at least 5% of why I’m a librarian.) Best of all, the suggestions for managers and employees start out on an epic scale–what you could do if you had significant power in your company or a huge expendable budget. 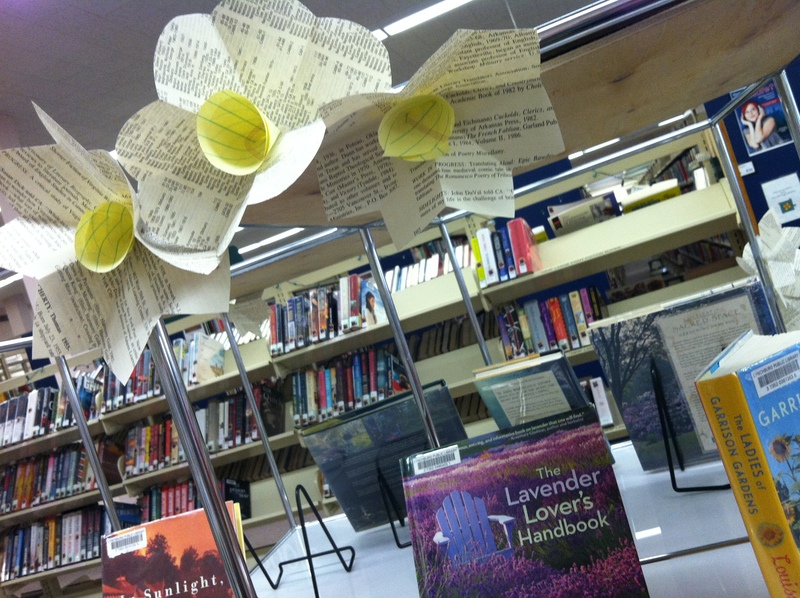 And the ideas then filter down all the way to the inexpensive or free category, which is perfect for a library. It’s nice to hear what’s possible and then hear how those awesome benefits can be captured to some degree in our realm. 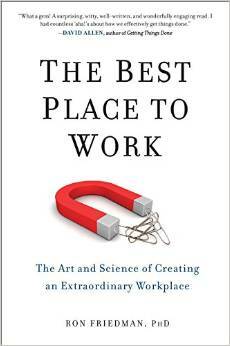 So if you find yourself managing people (or being managed) and want to know how you can try to turn your workplace into the best place to work, this is a definite recommendation. And she wouldn’t fall asleep on the job. Probably. Today while roving I witnessed a woman pick up a gardening book, open it behind her back, and fart loudly into the pages. She then reshelved the book and walked away. I grew up in a household that doesn’t approve of “bathroom humor,” so I’m sorry for my bad humor, Mom and Dad. It is funny though. I promise I won’t ever embarrass a library patron on my blog. Ever. But if someone says something that makes me laugh and I can quote them without in any way betraying who that person is, well, that’s a different story. Aw. Thanks. I almost laughed out loud, but I caught myself just in time. Veneer of professionalism maintained? Check. You know what I love about reading through magazines of upcoming books? Finding things that I never would have discovered without lists of new books. Sometimes I like my job a whole lot. 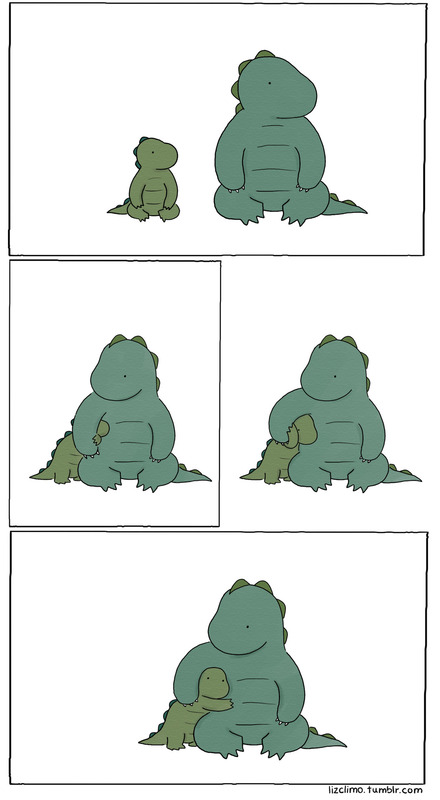 That’s Peanut in small, dinosaur cartoon form. He’s good at getting cuddles no matter what. 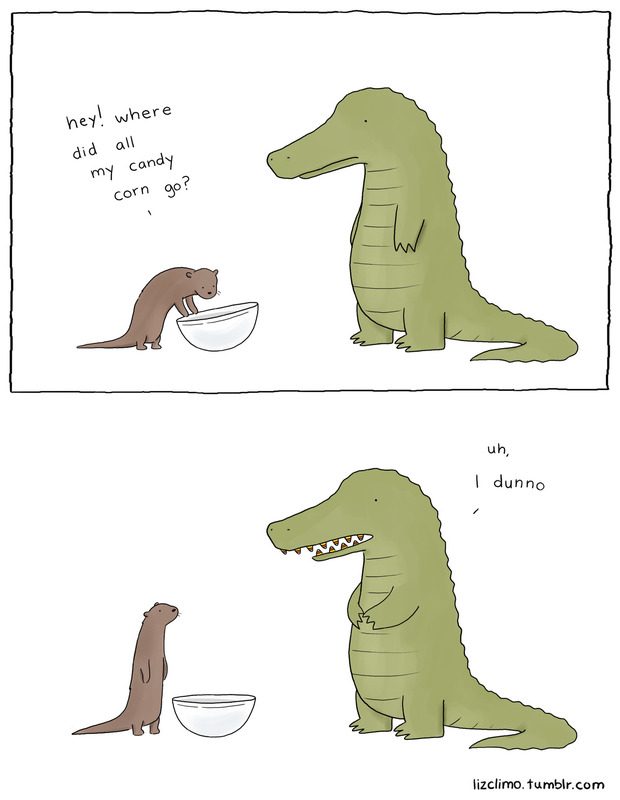 That’s me stealing Scott’s candy corn (and chocolate and marshmallows) and trying to be stealthy about it. While failing at the stealthiness. 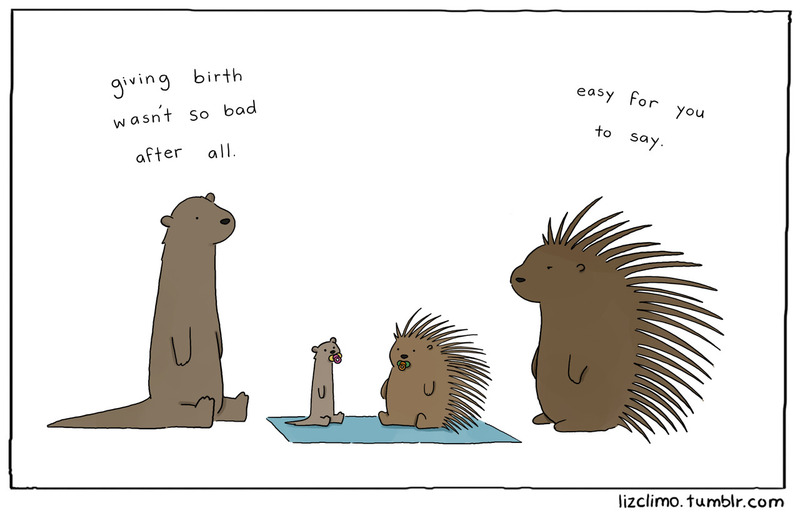 Thanks for the cute, Liz Climo! We had a party at the library today for participants in the Adult Summer Reading Program. There was really delicious homemade cake (with decorations, no less), so naturally that was my favorite part of the event. My second favorite element surprised me, however. It wasn’t the good conversation about books and book characters that we all discovered this summer. That really should have been my favorite part. A good book talk would be a highlight for me on most days. But this time the second runner up of fun came through our least expensive prize. 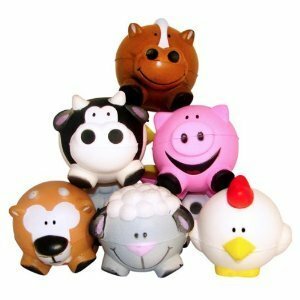 We handed out animal-shaped stress balls as part of the prize collection, and they were a huge hit. Two little kids rolled them around the room like crazy, and they were hopping and rolling and hopping some more (mostly the stress balls, a little bit the kids). I saw those kids chasing their bouncing sheep, and they looked entirely happy. It was nice, plain and simple. Oh, and while I have your attention, does anyone know what type of animal is at the top of that pyramid? Or at the bottom left? We couldn’t decide. I’m voting horse on top, no idea on the bottom left. Goat? Bear? Deer? And if it’s a bear, how many farms have their own bears hanging around?? ?